• New ConsensusDOCS 310 Green Building Addendum is First to Create a Standard for Emerging Issues. All articles in this issue of the ConstructionRisk.Com Report are written by J. Kent Holland, a construction lawyer located in Tysons Corner, Virginia, with a national practice (formerly with Wickwire Gavin, P.C. and now with Construction Risk Counsel, PLLC) representing design professionals, contractors and project owners. He is also founder and president of ConstructionRisk, LLC, a consulting firm providing consulting services to owners, design professionals, contractors and attorneys on construction projects. He is publisher of ConstructionRisk.com Report and may be reached at Kent@ConstructionRisk.com or by calling 703-623-1932. These article is published in ConstructionRisk.com Report, Vol. 11 No. 9 (Nov 2009). A $50,000 Limitation of Liability clause in a contract was enforced by the Georgia Court of Appeals in a case where a developer sued an architect for breach of contract and negligence when a retaining wall designed by the architect failed. The architect’s motion for partial summary judgment to enforce the clause was denied by the trial court which found the clause to be unenforceable. In reversing the trial court and holding the clause enforceable, the court found that no Georgia statute or public policy prohibits a professional architect from contracting to limit its liability. As noted by the court, the developer did not exercise the option of the higher limits. Critical to the court’s decision was its rejection of the plaintiff’s argument that the indemnity clause of paragraph E contravened a Georgia anti-indemnity statute and therefore made the LoL clause unenforceable. The court concluded that the indemnity clause did not contravene the Georgia law which only prohibited the architect from being indemnified for damages “caused by or resulting from the sole negligence of the promissee [architect]….” Here the indemnity specifically excluded indemnity in the event of the architect’s sole negligence, and it therefore satisfied the statutory requirements. In conclusion, the Court of Appeals found that the trial court erred in finding the LoL clause and the indemnification clause unenforceable, and held that the court should have granted the architect’s motion for partial summary judgment to enforce the LoL clause. Comment: This case is an important clarification of Georgia law following the confusion that resulted from the decision in the 2008 case of Lanier at McEver which found that an LoL clause in that matter contravened public policy and was unenforceable. The court seems to have used the opportunity of this current case to explain that the holding of Lanier is unique to the rare circumstances of that particular case in which the court found the contract language effectively contracted away a party’s liability for accidents caused solely by his negligence, and it is the “complete avoidance of liability to third parties for sole negligence in a building contract [that] is … what [the Georgia statute] prohibits.” (emphasis in original). This decision effectively settles the Georgia law in favor enforcing appropriately drafted LoL clauses such as the one involved in this case. Where a federal government contract modification signed by the contractor when accepting equitable adjustment for a change stated that the “Contractor hereby releases the Government form any and all liability under the Contract for further equitable adjustment attributable to the Modification,” the U. S. Court of Appeals held that the release covers the contractor’s cumulative impact claims as well as delay claims, and that although there was not question that the contractor had suffered a cumulative impact, the lower court erred in awarding damages to the contractor in view of the signed release. In Bell BCI Company v. United States, 570 F.3d 1337 (2009), the U.S. Court of Appeals for the Federal Circuit reversed the decision of the U.S. Court of Federal Claims reported in our December 2008 issue of ConstructionRisk.com Report that had held the release language contained in the Contract Mod did not apply to release the contractor’s cumulative impact because the release did not expressly state that it did so. At issue was over $2 million in labor inefficiency costs attributable to cumulative impact of the changes, as well as almost another $2 million for delays of remaining on the project after the scheduled completion date, plus the contractor’s 10% profit on the delay and impact costs. The Mod language in question provided that the Mod “provides full compensation for the changed work” and that the contractor “hereby releases the Government from any and all liability under this Contract for further equitable adjustment attributable to the Modification.” The lower court drew a distinction between a “delay” claim and a “disruption” or “cumulative impact” claims, and concluded that the release did not address cumulative impact or disruption claims. The court held that the language of the Mod was indeed clear and unambiguous, and that the Claims Court erred in holding that the contractor did not release its cumulative impact and delay claims. The court notes that “at best, there may be ambiguity as to which claims are “attributable to” a given modification, “but we cannot glean any ambiguity about which types of claims are released….” (emphasis in original). Comment: The only comment to offer about this case is that it demonstrates the importance of paying close attention to the language when agreeing to contract modifications for equitable adjustment – and being careful not to release the Government (or other client) from potential claims the contractor want to reserve. A general contractor suit against the project owner (City), the construction management firm (CM), and an assistant city engineer was dismissed on the basis of the economic loss doctrine. The suit alleged that the CM wrongfully denied a change order request related to site drainage measures, and wrongfully recommended to the project owner that liquidated damages be assessed against the contractor for untimely performance. In addition to suing the CM, the city, and the city engineer based on negligence, the contractor also claimed fraudulent concealment of the site conditions, fraudulent misrepresentation, and negligent misrepresentation. Motions for summary judgment were granted by the trial court in favor of the CM and city engineer on the basis that they owed no pre-contractual duty to the general contractor concerning the site information, and that the post-contractual claims were barred by the economic loss doctrine. In Hamon Contractors v. Carter & Burgess, ( Colorado , Court of Appeals, 2009 Colo.App. LEXIS 715), the City sought bids from general contractors to install a large pipe or culvert below a street to allows water to flow from a property on one side of the street to a property on the other side. An engineering firm not involved in this litigation prepared contract documents, including plans and specifications. These were reviewed by the assistant city engineer, Mr. Katizman, and approved for inclusion in the bid package provided to prospective bidders. Hamon Contractors was selected as the contractor, after which the City then retained the firm of Carter & Burgess (C&B) as the construction manager (CM) to observe and evaluate the contractor’s work to determine whether it complied with the contract documents. This included responsibility for issuing City instructions to Hamon and recommending allowance or disallowance of change orders and amounts owed to Hamon on progress payments. The contractor was delayed in the performance of its work by excessive water on the site. Hamon claimed the site did not drain properly and that the soil became oversaturated thereby requiring stabilization efforts. Hamon submitted a change order to the CM for the stabilization work. The CM denied the change order (including time extension request) because it concluded that the contractor could have taken ordinary and reasonably foreseeable temporary drainage measures to prevent the oversaturation. The City then withheld $413,000 from the contractor as liquidated damages for untimely performance of its work. The contractor responded to the City by asserting that the delays were beyond its control, and that both before and shortly after construction began, the city’s engineer was “aware that the design for drainage was defective,” but failed to communicate that information to the contractor – thereby constituting “fraud.” The contractor also accused the city engineer and the city of various misrepresentations and concealment. It also claimed that the CM negligently failed to detect the drainage design flaws before the contractor entered into its contract with the city, and that the CM owed it a duty to detect those problems and inform it of them during the bidding process. The contractor also asserted all these same claims under a count of “negligent misrepresentation” as well. As to the first factor, the court concluded that the contractor only sought economic losses in the nature of consequential damages that were governed by the contract rather than a negligence count. On the second factor, the court concluded even if there were any duty of C&B to refrain from concealment and misrepresentation of facts, “any such duty existed here as to the information at issue only because of the parties’ interrelated contracts.” Lastly, the court concluded “it is clear that the tort duty alleged by Hamon does not differ in any way from the contract duty.” Thus, the court found there was no genuine issue of material fact as to the existence of independent duties of C&B outside of the contracts. In addition to alleging that C&B owed independent duties to the contractor during contract performance, the contractor argued causes of action based on alleged pre-contractual negligence and negligent misrepresentation. The trial court granted summary judgment to C&B on these claims because they essentially alleged nonfeasance by C&B. In the absence of a special relationship between C&B and the contract, the court found C&B had no duty as a matter of law to inform the contractor during the bidding process of flaws in the drainage design. In this case case, the contractor failed to assert facts that could show the existence of a special relationship between it and the construction manager. For these reasons, the court affirmed the summary judgment in favor of C&B on the pre-contractual issues, as well as on the post-contractual. Comment: This case also contains a good discussion concerning an expert’s affidavit and explains why the contractor’s expert affidavit was insufficient to successfully oppose the summary judgment motion. It is well worth reading for those involved in litigating cases that depend upon expert affidavits and testimony. Where a condominium owners association sued an architect, the certificate of merit that was filed with the suit failed to meet the statutory requirements for the certificate. It was held that the cause of action based on negligence must therefore be dismissed, but that other counts of the complaint not based on negligence could proceed. In Landreth v. Las Brisas Council of Co-Owners, 2009 WL 265273 (Tex. App. Corpus Cristi, 2009), the case arose out of a contract between an architect (Cotton Landreth) and condominium association whereby the architect was to perform a investigation of the physical conditions of the condominium building and develop a maintenance program for the owner’s use. Landreth recommended that the owner retain a particular contractor (F &G) to perform a renovation project – which it did. The certificate of merit that was filed by the plaintiff was executed by an individual who was both an engineer and an architect. Although it included specific acts of negligence, it did not state that the engineer who signed it was practicing in the same area of architecture in which the defendant architect practices. In response to the defendant’s motion to dismiss, the owner submitted a new certificate of merit affidavit in which its architect/engineer attested that he in fact practiced in the field of architecture and that the type of services in question by the defendant were similar to services he performed in the identification and assessment of defects while conducting forensic investigation. “Section 150.002. Certificate of Merit. The court stated that this language “applies only to claims for professional services. If a plaintiff was not claiming a negligent act, error or omission, a certificate of merit is not required.” The court cited annotations to the code as well as another appellate court decision from Texas that held that non-negligence claims are outside the scope of professional services. Based on this, the court held that an insufficient certificate of merit “does not require dismissal of an entire case, but rather requires dismissal of only those causes of action arising out of the provision of professional services.” Since the lower court had not determined which of the pleadings are claims for professional services and which are not, the appellate court remanded the case to the trial court for further proceedings. Comment: The appellate court remanded the case to the trial court to make a determination of which counts of the complaint are based on professional services so that the certificate of merit can be applied to each of those counts. The better view would be that by definition, all services performed by the architect pursuant to its professional services agreement with the condominium services were “professional services.” Regardless of what terminology a plaintiff may try to use to describe its cause of action against the design professional in this case, the reality is that the alleged damages arise out of the performance of professional services and the certificate of merit should therefore apply to all the counts of the complaint regardless of the legal theory used by the plaintiff in describing its various causes of action. In the end – all the theories are just another way of saying that the plaintiff is not happy with the professional services – or lack of professional services received. If a plaintiff can get around the intent and purpose of the certificate of merit statute merely by cavalierly throwing around words like “fiduciary duty” and “fraud”, no certificate of merit statute would have teeth. A commercial general liability (CGL) carrier declined to defend and indemnify its insured contractor where a condominium developer filed suit against the contractor building its building for breach of contract and defective work that caused water intrusion into the building. After the contractor lost a default judgment to the developer, and sought indemnity from the carrier, the insurance company filed suit seeking a declaratory judgment that it had no duty to the contractor under the policy. Both the federal district court and appellate court found that the “your work” policy exclusions of the policy did not apply to the damages, and that the underlying default judgment against the contractor was binding upon the CGL carrier. Due to JHP’s failure to properly water-seal the exterior finishes and retaining walls, large quantities of water penetrated the interior of the structure through ceilings and walls, under doors, and at other points, damaging contiguous building materials and interior finishes, including interior drywall, stud framing, electrical wiring, and wood flooring, prior to the final completion of the project. The water intrusion problems started some time in the summer or fall of 2001. As a result of the damage and JHP’s refusal to repair the damage and complete the work, TRC terminated its construction agreement with JHP. Exclusion j(5) excludes property damage to “[t]hat particular part of real property on which you or any contractors or subcontractors working directly or indirectly on your behalf are performing operations, if the ‘property damage’ arises out of those operations.” Exclusion j(6) excludes property damage to “[t]hat particular part of any property that must be restored, repaired or replaced because ‘your work’ was incorrectly performed on it.” This exclusion further provides that it “does not apply to ‘property damage’ included in the ‘products-completed operations hazard.’ ” “Your work” is defined, in relevant part, as “work or operations performed by you or on your behalf.” Both exclusions are “business risk” exclusions, common features in commercial general liability insurance policies that are designed to exclude coverage for defective work performed by the insured. Since the court found that construction work was not being performed at the time of the water intrusion that caused the damages, it found that exclusion j(5) did not apply because that exclusion only applies to damage caused during active physical construction activities. At the time of the water intrusion, all exterior work had been completed by the contractor, and the interior work on four of the five units had been suspended pending the sale of those units. Under these circumstances, the court concluded that the contractor was not “performing operations” at the time when the water intrusion occurred, and that the j(5) exclusion consequently did not apply to bar coverage. TRC argues that the “[t]hat particular part” language in exclusion j(6) makes clear that the exclusion only applies to damage to the part of the condominium project that was itself the subject of the defective work that caused property damage (the exterior portions of the condominiums that were not adequately waterproofed), not to other parts of the condominium project that were damaged as a result of the defective work but were not themselves the subject of the defective work (the interior drywall, stud framing, electrical wiring, and wood flooring). Mid-Continent argues that the exclusion covers all property damage to the condominium project that resulted from JHP’s defective work on the project. The plain meaning of the exclusion-property damage to “[t]hat particular part of any property that must be restored, repaired or replaced because ‘your work’ was incorrectly performed on it”-is that property damage only to parts of the property that were themselves the subjects of the defective work is excluded. This becomes clear when the exclusion is broken down into its component requirements: the “particular part” referred to is the part of the property that (1) must be restored, repaired or replaced (2) because the insured’s work was incorrectly performed on it. The second requirement makes clear that the “particular part” of the property must have been the subject of incorrectly performed work. The narrowing “that particular part” language is used to distinguish the damaged property that was itself the subject of the defective work from other damaged property that was either the subject of nondefective work by the insured or that was not worked on by the insured at all. … We find that exclusion j(6) bars coverage only for property damage to parts of a property that were themselves the subject of defective work by the insured; the exclusion does not bar coverage for damage to parts of a property that were the subject of only nondefective work by the insured and were damaged as a result of defective work by the insured on other parts of the property. The damage to the interior portions of the condominiums were the result of JHP’s failure to properly water-seal the exterior finishes and retaining walls. The exterior finishes and retaining walls were distinct component parts that were each the subject of separate construction processes and are severable from the interior drywall, stud framing, electrical wiring, and wood flooring. The exterior finishes and retaining walls are “[t]hat particular part of any property that must be restored, repaired or replaced because [JHP’s work] was incorrectly performed on it.” Exclusion j(6) does not exclude coverage for the water damage to the interior portions of the condominiums. The court stated: “A plain reading of the language of exclusion j(6) shows that it bars coverage only for property damage to parts of a property that were themselves the subjects of defective work, and not for damage to part of a property that were the subjects of only nondefective work by the insured and were damages as a result of defective work by the insured on other parts of the property.” For the foregoing reasons, the court held that under Texas law, exclusion j(5) and exclusion j(6) do not operate to exclude coverage for the damages at issue. A county court in Delaware has determined that a contractor claim against an architect/engineer based on alleged wrongful advice to the project owner to withhold payment from the contractor it had completed is not barred by the economic loss doctrine. In this matter, Commonwealth Construction Co. v. Endecon, Inc., 2009 WL 609426 (Del. Super. 2009), a contract dispute arose between the construction contractor and its client, the project owner, concerning the work and the payment. The architect/engineer for the project advised the owner to withhold payment from the contractor for certain work. The contractor filed a mechanic’s lien and then a law suit to recover payment from the owner. It prevailed in its action against the owner and recovered over $366,000. It then sued the architect/engineer in a separate action to recover $100,000 in legal fees and expenses it incurred in pursuing its claim against the owner. The basis for its suit was negligence, bad faith, and tortious interference with its contract. The first two counts were withdrawn and the contractor went forward in its litigation only on the tortious interference with contract claim. The architect/engineer acted within its contractual scope of its services to the project owner which called for him to make interpretations of the contract and decide disputes between the contractor and the owner in good faith and without partiality to either party. When a dispute arose between the contractor and owner concerning payment to the contractor, the parties submitted the dispute to the a/e in compliance with the terms of the contract. Following that, the a/e concluded that the owner should not pay the contractor the amount in question, and it advised the owner to withhold payment. A significant issue that court failed to address is on what basis a contractor could legally claim tortious interference with its contract by an architect/engineer that had a duty to review disputes and decide them in the first instance. Both the professional services agreement with the owner as well as the contractor’s agreement with the owner would have clearly spelled out this role for the a/e. In view of the fact that the contractor contractually agreed to this procedure it is difficult to understand how it has an independent cause of action for tortious interference with its contract. Tortious interference should only be considered as a cause of action when there is no special relationship between the parties such as existed here wherein the a/e is contractually required to make decisions concerning the contractor’s contract. The only way an action should be permitted to go proceed against an a/e in these circumstances would be on evidence of something like bad faith or personal financial interest of the a/e. In this case, however, the plaintiff withdrew the count of its complaint that alleged bad faith. How then can one explain how this case made it to this stage and with this result? A contractor sued to collect its contract fee from both the project owner and the project engineer who was the owner’s agent — on the theory that the engineer had not disclosed to the contractor that he was negotiating the contract only as agent for the owner and not directly for itself. An appellate court found that the question must go to a jury to determine whether the contractor might reasonably have concluded that the engineer was dealing with him directly on the engineer’s own behalf rather than as an agent for the project owner, and that the engineer therefore was directly responsible for paying the contractor the balance of its contract. In Action Concrete v. Focal Point Engineering, 675 S.E.2d 303, (Ga. App. 2009), the contractor claimed that the engineer owed it more than $100,000 for services it provided for a construction project. The engineer moved for summary judgment on the basis that when it obtained the contractor’s agreement to provide services, the engineer was acting as the owner’s agent. In reversing the trial court’s summary judgment for the engineer, the appellate court found that the contractor could have believed it was contracting with the engineer in its own independent capacity rather than as an agent for the owner. When the owner, Laurel Properties, needed a concrete contractor to install curbing for the project, the engineer suggested Action Concrete. The engineer then called Action Concrete and set up a meeting with the contractor, engineer and owner. According to the contractor, the engineer said during the meeting that the engineer wanted to engage the contractor to do the work. There was also testimony, however, that the contractor was informed at the meeting that Laurel Properties was the owner. Following the meeting, Action Concrete began work on the project and then about a week later sent a contract proposal to the engineer who, rather than signing it, sent it to the project owner. The contract was never signed by either the owner or the engineer. Contractor continued with the work and sent its first invoice directly to the engineer for payment—identifying the engineer as project owner on the invoice. The engineer sent the invoice back to the contractor with instructions to revise it to accurately designate Laurel as the owner. The contractor made the revision and sent it back to the engineer, and continued sending all invoices to the engineer. The contractor testified that it thought it was working as a subcontractor to the engineer as it had done on other jobs. He testified that it was not unusual to be retained by either an engineer or general contractor that was acting as construction manager on a job. He testified that he was never advised by the engineer that the engineer was acting solely as Laurel ’s agent on the project. In this case, the court concluded that the engineer was not entitled to summary judgment because the question needed to go to a jury to decide whether the engineer, by its actions, had bound itself to pay the contractor. About the author: All articles in this issue of the ConstructionRisk.Com Report are written by J. Kent Holland, a construction lawyer located in Tysons Corner, Virginia, with a national practice (formerly with Wickwire Gavin, P.C. and now with Construction Risk Counsel, PLLC) representing design professionals, contractors and project owners. He is also founder and president of ConstructionRisk, LLC, a consulting firm providing consulting services to owners, design professionals, contractors and attorneys on construction projects. He is publisher of ConstructionRisk.com Report and may be reached at Kent@ConstructionRisk.com or by calling 703-623-1932. This article is published in ConstructionRisk.com Report, Vol. 11 No. 9 (Nov. 2009). Green buildings will represent up to 25% of new commercial and institutional construction starts by 2013, almost double that of today” according to McGraw-Hill Construction. Despite a critical need, construction contracts have simply not kept pace. Basic issues regarding terminology, process, and risk are often left unaddressed. Several commentators predict increased litigation and frustration among project owners seeking to build green. Until now, industry standard contract documents have not adequately addressed the elevated risks to design and construct a green building. Consequently, ConsensusDOCS, a diverse coalition of 23 leading construction organizations, such as CURT, AGC, ASA and LCI, just published a Green Building Addendum to assist all project participants in designing and building green projects more efficiently. Green Building Facilitator: coordinates various participants’ roles and responsibilities to achieve Green Measures and Green Status. Addresses who will be in charge of document collection and submission, and if necessary resubmission. The ConsensusDOCS drafters created a flexible document that is not tied to a specific version of a third-party rating system, but rather allows the parties to specify what “green status” and corresponding project-specific Green Measures. For many projects, a formal certification by a third-party agency, such as LEED Gold will be sought. However, the GBA is equally appropriate if a specific green measure, such as a specific amount of energy reduction is desired that does not require a formal third-party certification. Creating a central point-person to guide the project to achieve desired green measures through a Green Building Facilitator (GBF) is a key concept. A design professional, contractor, construction manager or even a third-party consultant can be designated to serve as the GBF. 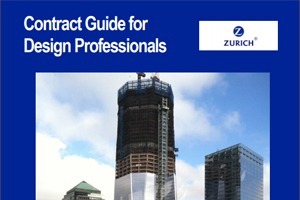 Initially, it is anticipated that the additional work scope requirements will be included in the underlying contract with design professional, design-builder, and contractor or construction manager. However, it is possible that a cottage industry could be created in assigning an independent expert the role of successfully coordinating the development and execution of a green building. ConsensusDOCS plans to publish a separate standard GBF agreement in the future, but determined that the need for this document as well as current practice dictated publication of the GBA now. The GBA takes into consideration the unique risks in green building design and construction. The use of new material, equipment and design components associated with limited field-tested track record, as well as the necessary design development strategies and re-evaluation of traditional design are contemplated by the document. Importantly, the design professional remains ultimately responsible for design and the contractor remains ultimately responsible for means and methods. The GBF provides assistance to the owner in coordinating the design, construction and document submissions that are necessary to accomplish the green building objectives. To assist the GBF in performing its duties and obligations, there are numerous coordination, cooperation, and documentation requirements placed upon the appropriate project participants throughout the GBA. Project participants, including specialty contractors, subcontractors, material suppliers or other consultants, assisting in achieving green building measures, are encouraged to communicate and coordinate their efforts. Detailed resolution procedures address objections by a project party to selected green measures, and the GBF is placed in a counseling role to the owner on alternatives to address objections. The GBF is responsible for promptly preparing and resubmitting documentation submittals should a project fail to achieve an elected green status, such as LEED rating. Importantly, the GBA clarifies that many of the risks associated with green buildings are consequential in nature and therefore classified as consequential damages. For instance, failure to achieve a tax credit based on a level of LEED certification is a consequential damage. Liability exposure for a consequential damage is explicitly determined by the applicable governing contract – the contract between the owner and the party acting as the GBF. The GBA explicitly does not attempt to relieve or expand fundamental risk allocation issues. The ConsensusDOCS family of standard agreements specifically calls out such risks for the parties to communicate and negotiate. (See, e.g., ConsensusDOCS 200 § 6.6). You can find a free excerpted sample and a guidebook document on the GBA at www.consensusdocs.org. Articles and a December 2nd webinar on the GBA are also posted. The newsletter will soon become a blog type site.